Because it is, as our slogan used to say, "A great place on a great lake". Milwaukee is a great place (and, yes, it's on a great lake - Lake Michigan). It may not be Paris or London, but a Milwaukee weekend is a fun getaway with your sisters or girlfriends - it's great at any time of year, but especially in the summer. There are festivals almost every week, celebrating all of the cultures that make up this city (and the U.S.). The largest music festival in the world is held here every year, and every 5 years Harley Davidson celebrates an anniversary. A Milwaukee weekend can include the festivals, sports, art and craft fairs, theater and dance, museums - all the things women love to do! Probably the most popular way to enjoy a Milwaukee weekend is Summerfest. It is the largest music festival in the world. There are more than 10 stages presenting music throughout the day, and there's plenty of food, beer, comedy and kid's activities, too. The festival runs for 10 days around the 4th of July, with mainstage acts as diverse as Stevie Wonder to the Jonas Brothers . There are literally hundreds of acts appearing during the fest - if you don't like one, wander off to another stage! Admission is $15, but there are discounts available almost every day. 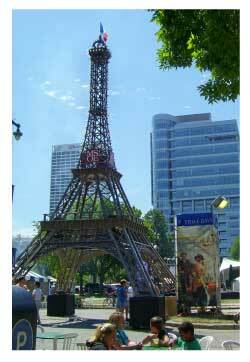 Many a Milwaukee weekend boasts an ethnic festivals including GermanFest, Festa Italiana, Bastille Days (French), Polish Fest, Mexican Fiesta, Irish Fest, and Indian Summer. Plus, the Annunciation Greek Orthodox Church Festival is commonly known as "Greek Fest". 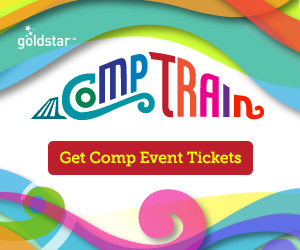 All are 3 - 4 day weekend events, most are held at the Summerfest grounds (Bastille Days is at Cathedral Square, just north of downtown, and Greek Fest is at State Fair Park). All are celebrations of food, music, dance, and crafts of the specific culture. The food is reason enough to go to one (or more!) of the festivals. There's bound to be a festival that celebrates your ethnic background. Or explore one that's more "exotic" to you! Even if you're not a beader, the Bead and Button Show is a fascinating experience and the basis for a great Milwaukee weekend. There are beads in hundreds of sizes and shapes! Glass, wood, metal, plastic - almost every kind of material and workmanship imaginable. There are displays of completed pieces (one year, they had a car completely covered in beads! ), kits for beginners, supplies for experienced beaders - and even glass and torches for making your own glass beads! There is something for every level of experience or interest. If nothing else, you can buy a great new bead to wear on a silk cord for a beautiful necklace. The event is a week long, but the first few days are all classes and workshops. The Marketplace is the last weekend of the show, which is generally set for the first week of June. A great Milwaukee weekend can be built around numerous craft shows or art festivals. One of the best, the Morning Glory Art Fair, is held in August at the Marcus Center for the Performing Arts, along the river. The Lakefront Festival of the Arts, in June, has original works by over 150 artists on the grounds of the Milwaukee Art Museum. At the end of the season, the weekend after Labor Day, Mount Mary College on the city's west side, hosts the "Starving Artists Show". Nothing is more than $100, so many artists knock down their prices (sometimes by $200- $300!) to sell their pieces and prevent storing them over the winter. All of these are juried shows with very high quality work. 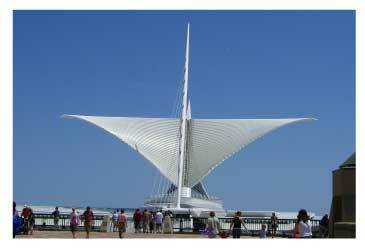 The Milwaukee Art Museum may be best known for it's recent addition, designed by Santiago Calatrava (his first commission in the United States). The "Brise Soleil" looks like a whale's tail when open, and closes like the wings of a bird. Inside, the light is incredible, and the hallways connecting the addition to the older building have curved ribs that make you feel like you're Jonah inside the whale. It's a wonderful example of contemporary architecture, but there's so much more to MAM. The Milwaukee Art Museum has one of the largest collections of Haitian art in the country, plus impressive collections of folk art, contemporary American art, and Old Masters. You'll find Picasso and Georgia O'Keefe, Monet and Warhol. Plus, it's right on the lakefront - both the Calatrava addition and the older, War Memorial building have great views of Lake Michigan. A Milwaukee weekend of museum-hopping would also include The Milwaukee Public Museum. It is one of the top natural history museums in the country - quite a distinction for a city this size. There is an IMAX theater, a planetarium, and exhibits showcasing the history of the city, as well as cultures from ancient Egypt to Asia, North and South American Indians, and Africa. The Pabst Mansion houses a nice collection of Victorian furnishings, such as those originally found in the home, built by beer barons. The Charles Allis Museum and Villa Terrace are two restored mansions with nice collections of art and furnishings; they are very near each other on the lakefront, and Villa Terrace has a spectacular garden - this is a must-see! And, of course, there is the new Harley-Davidson Museum. Whether or not you are a biker, you can get into the culture created by this venerable motorcycle company. Who doesn't love Harleys? 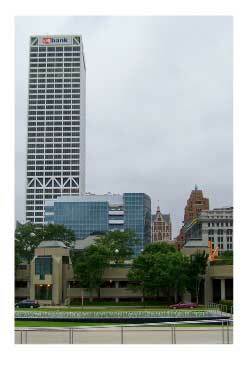 Like many cities, Milwaukee has been working to improve it's downtown area. 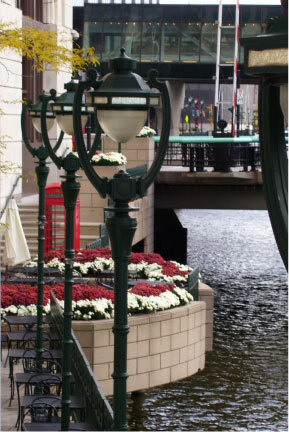 The Milwaukee River cuts through the downtown area, and one of the big improvements is the "riverwalk". The riverwalk is a path along the river, connecting the shops and restaurants along the way. It has a more pleasant view than the city streets, and less traffic. Some of the restaurants along the walk have opened outdoor cafes, and there are sightseeing boats that dock along the river. And, of course, the riverwalk is home to the "Bronze Fonz", a statue honoring the Fonzie character from TV's "Happy Days" which took place in 1950's Milwaukee. Many of the old manufacturing and warehouse buildings in the area have been converted to upscale condos, and some even have docks for resident's boats! Pere Marquette Park is along the river and connected to the riverwalk, as is the Marcus Center for the Performing arts, where Riversplash (one of the summer activities) is held. The riverwalk area offers lots of things to do during your Milwaukee weekend getaway. The Historic Third Ward is just south of the downtown area (within walking distance), and many of the condos are located here - along with antique shops, quaint gift shops, upscale women's clothing shops, and the Public Market. The Public Market has food stalls for local merchants only, from bakeries to wine sellers, plus some take-out food from local restaurants. And Kerr's Candies, arguably the best chocolate shop in town! Downtown hotels are the most convenient for a Milwaukee weekend of shopping, sightseeing, and visiting the museums. From the Hampton Inn & Suites Downtown Milwaukee Hotel to the elegant, Victorian-era Pfister Hotel, there are accommodations for every taste and budget. One of the most popular hotels in Milwaukee is the Hotel Metro , a relatively recently renovated Art-Deco style boutique hotel downtown. The Metro is Milwaukee's first "certified green" hotel, and it's been picked by the New York Times as "the place to stay". Travel+Leisure Magazine considers it one of the top 500 hotels in the world! This is definitely the place to stay during your Milwaukee weekend getaway. There are spacious suites, spa suites with in-room whirlpool, and even pet-friendly suites! It's located just a bit off the main streets of downtown, but it's still very easy to get to everything in the area. One of the newest, and very popular, is the Iron Horse Hotel, just down the street from the new Harley-Davidson Museum. A newly renovated historic warehouse, the hotel is a mix of historic architecture and modern sophistication, biker jackets and business suits. Truly a hot property! Compare prices on all Milwaukee hotels and read what other travelers have to say about them at TripAdvisor. For an old-fashioned, real "Milwaukee experience", you must go to Mader's! It's a lovely old-world German restaurant on "Old World Third Street" (a section of 3rd St. that looks somewhat European, and is also home to Usinger's Sausage and the Spice House). For a more upscale, contemporary dining experience, Sanford offers French, American, and Continental cuisine just north of downtown. The chef, Sanford D'Amato, is a James Beard award winner and the restaurant is on Zagat's list of the top restaurants in the country (currently listed at #7!). Sandy D'Amato also has a more casual restaurant in the Third Ward called Coquette, and offers cooking classes there. On the other end of the scale, Miss Katie's Diner is a "blast from the past". Offering good, old-fashioned "home cooking", you can get burgers or meatloaf in a 50's styled diner near the Marquette University campus. Good food and great fun! Spend a Milwaukee weekend shopping, museum hopping, or enjoying a festival - and come back often!